About Me Updated . . .
even when I will no longer appear." A year ago, after Mary TV streamed his apparitions live from Medjugorje, Ivan told us Our Lady had been pleased with how her messages had been spread and he believed it would be done that way in the future! He said Our Lady had prayed over everyone connected through the internet the same as she had prayed over all those kneeling with him in his chapel, and when she blessed religious objects, the religious objects people connected through the internet had for her to bless were blessed the same as those placed right in front of her in his chapel! 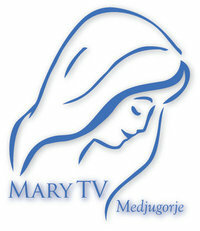 Our Lady told Vicka during an apparition 12 years ago that MARY TV's plan to build a TV station in Medjugorje was good, but we should be patient and not be in a hurry. We could get ready slowly and she herself would tell us when to begin – she would lead the way! We've been asked to return to Vienna this coming November 17th to stream Ivan's apparition and Cardinal Schoenborn's homily in St. Stephens Cathedral during an evening of prayer celebrating 30 years of apparitions. We hope to be streaming also in Spanish. Mark your calendar (and tell your friends)! Nearly half a million people were present for Ivan and Marija's apparitions through MARY TV's streaming from the Cathedral last September. Milona von Habsburg has again offered to be our translator. After filming Ivan's apparitions in Medjugorje recently I told him I thought it was time MARY TV began streaming his apparitions every day – live – to the world! 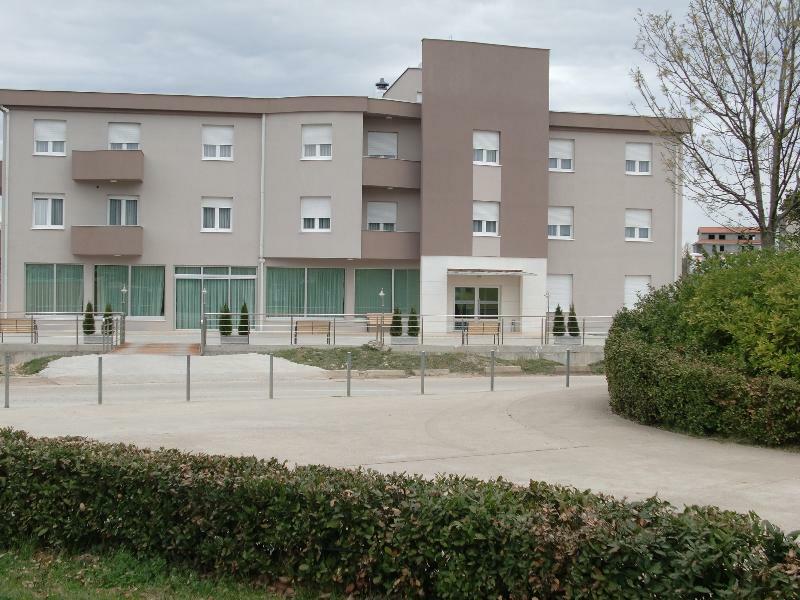 Though our building in Medjugorje is finished (see picture below), three of the four TV studios still need to be completed. In the future we will be able to send everything we're now sending to computers through the internet to TV stations for broadcasting around the world! Help us give this gift to Our Lady! Years ago Jelena confirmed to me that one day Our Lady told her that Satan had offered to give back to God the rest of the world in exchange for Medjugorje. He is terrified of God's plan unfolding there. Twenty Seven years ago Blessed John Paul ll said, "Medjugorje is the continuation and fulfillment of Fatima." What could be the fulfillment of Fatima? "Nevertheless in the end my Immaculate Heart will Triumph." Medjugorje represents the last battle. Two days ago our Mother called to us: "Dear children! Today I call you to pray andfast for my intentions, because Satan wants to destroy my plan. Here I began with this parish and invited the entire world. Many have responded, but there is an enormous number of those who do not want to hear or accept my call. Therefore, you who have said 'yes', be strong and resolute. Thank you for having responded to my call" (August 25, 2011). PS. The following is of particular interest in light of Our Lady's message today – lamenting the "enormous number of those who do not want to hear or accept my call." I held back for many years from publishing this testimony (link below), hoping Major-General Prendergast would soften his language…but he wouldn't change a word because, he said, what he had written was the truth…. * I've learned from her mother that Christina, who has been praying the rosary with us over the internet for the past 12 months, refers to Cathy and me as "the Regis and Kelly of the Marian world!" Cathy says, "The Red Green Show of the Marian world" would be more like it! 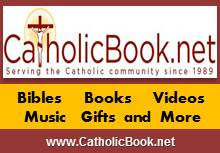 You can join us live at 10:00 am EDT at <www.marytv.tv > (though the rosary can also be prayed with us at anytime during the day in the Rosary Archives. Every day we consecrate the internet to Our Lady of Medjugorje! I'm Deacon John, age 82, ordained 4/25/87 as a Permanent Deacon for the Diocese of Brooklyn. Now relocated to Pa. where I serve at the local parish. 1 The Lord is the God to whom revenge belongeth: the God of revenge hath acted freely. 2 Lift up thyself, thou that judgest the earth: render a reward to the proud. 3 How long shall sinners, O Lord: how long shall sinners glory? 4 Shall they utter, and speak iniquity: shall all speak who work injustice? 5 Thy people, O Lord, they have brought low: and they have afflicted thy inheritance. 6 They have slain the widow and the stranger: and they have murdered the fatherless. 7 And they have said: The Lord shall not see: neither shall the God of Jacob understand. 8 Understand, ye senseless among the people: and, you fools, be wise at last. 9 He that planted the ear, shall he not hear? or he that formed the eye, doth he not consider? 10 He that chastiseth nations, shall he not rebuke: he that teacheth man knowledge? 11 The Lord knoweth the thoughts of men, that they are vain. 12 Blessed is the man whom thou shalt instruct, O Lord: and shalt teach him out of thy law. 13 That thou mayst give him rest from the evil days: till a pit be dug for the wicked. 14 For the Lord will not cast off his people: neither will he forsake his own inheritance. 15 Until justice be turned into judgment: and they that are near it are all the upright in heart. 16 Who shall rise up for me against the evildoers? or who shall stand with me against the workers of iniquity? 17 Unless the Lord had been my helper, my soul had almost dwelt in hell. 18 If I said: My foot is moved: thy mercy, O Lord, assisted me. 19 According to the multitude of my sorrows in my heart, thy comforts have given joy to my soul. 20 Doth the seat of iniquity stick to thee, who framest labour in commandment? 21 They will hunt after the soul of the just, and will condemn innocent blood. 22 But the Lord is my refuge: and my God the help of my hope. 23 And he will render them their iniquity: and in their malice he will destroy them: the Lord our God will destroy them. Patron Saint of midwives, pregnant women, unborn children, and women in labor.